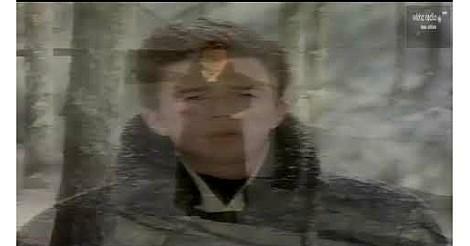 Rick Astley - "When I Fall in Love"
Rick's deep and distinctive voice never really matched his baby face, red hair and pale skin, and if you close your eyes you truly would imagine that an older, black guy was singing this. This goes to prove that you should never judge someone by looks alone. This well-known song has been covered by well over 100 major recording artists, including Doris Day in 1952 and Nat King Cole in 1956. 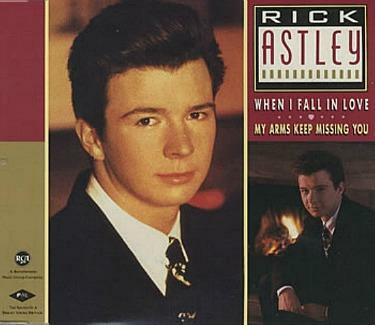 Rick's version was released as the third single from his multi-platinum album Whenever You Need Somebody (as a double-A side with My Arms Keep Missing You) in December 1987. There was huge competition for the coveted Christmas No.1 spot in 1987 between three cover versions, and EMI were fighting to claim the top spot with Pet Shop Boys cover of Always On My Mind. They aided their quest by re-releasing Nat King Cole's version (apparently, to mark the 30th anniversary) which reached #4, and causing sales of Astley's single to slow down and peak at #2 for two weeks. This meant that Pet Shop Boys did, indeed, claim the prestigious Christmas No.1. Another cover of When I Fall In Love was released in July 1993 by Celine Dion and Clive Griffin for the soundtrack to the movie Sleepless in Seattle, but was only a moderate hit.